Try one of the fantastic trips on the Pelorus Mail Boat. 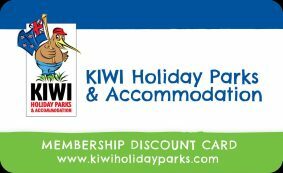 Give them a call yourself or ask the Havelock Holiday Park to do it for you, mention that you have a NZMCA card and there is a good chance that you’ll get a very good discount. You have to try the Greenshell Mussels while you are here. A meal at the Mussel Pot, Captains Daughter or Slip Inn is definitely recommended by us. Never fear, if mussels are not your thing, we can point you in the direction of a very good alternative that will suit your taste buds. We have a copy of all their menus for your perusal. If the Mail Boat is a bit too long a trip then we can recommend a trip out with the Pelorus Water Taxi which usually offers scenic tours of around 2.5 hours or the Pelorus Mussel Cruise which is a 3 hours afternoon cruise. Just ask us for more details when you arrive. If boats are not your thing then how about a Wine Tour? We can arrange for you to be picked up from our Park and then dropped off afterwards. These trips often end at the Makana Chocolate Factory and that is a pretty good way to end any day. Best chocolate in NZ in our opinion. Last but not least is a trip to the amazing Omaka Aviation Museum. See Peter Jackson’s collection of WW1 aircraft in this world renowned display. The new WW2 exhibit has been open for a year now, so you now have a choice – WW1, WW2 or both. This must be on your “To Do” list while you are in the area. We can help with advice on eating at wineries, sampling craft beer, walking trails, kayak trips and more. Just tell us what your interests are and we’ll try and tailor our advice accordingly. Enter your NZMCA number in the Comments/Requests field when booking so that we know to apply the discount. Please remember that we will want to sight your membership card when you arrive.